Peonies! What is not to love about these show stopping blooms! 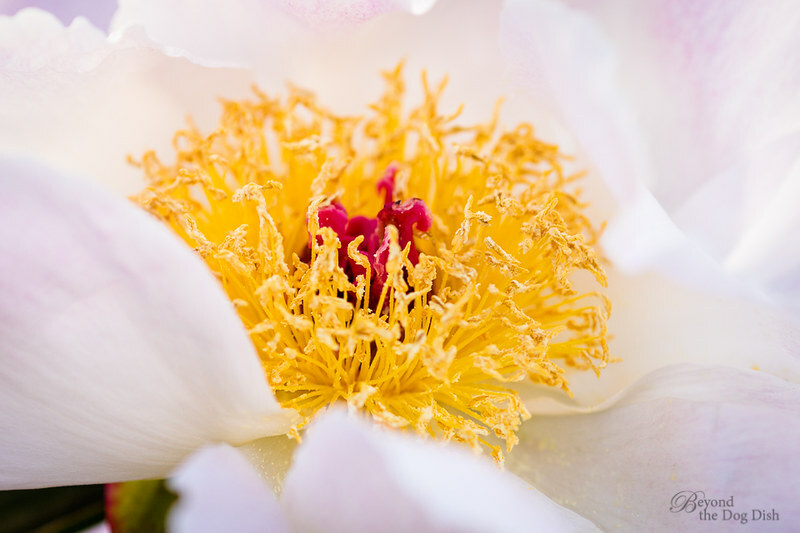 Every year we attend the Botanical Gardens Peony Festival and take in the fragrant and humongous blooms. I am still dreaming about one day owning the 100mm 2.8 Macro lens but for now I enjoyed trying out a macro filter over my 85mm lens. 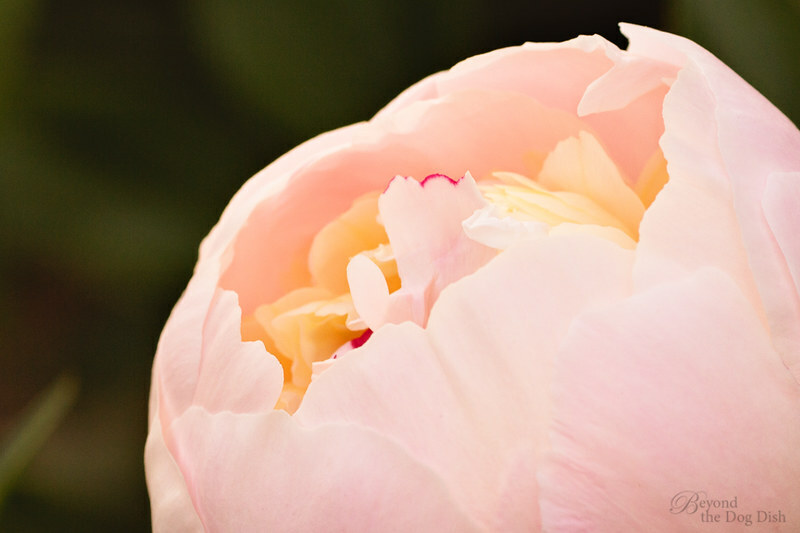 There is a lot of history around Peonies. They are also referred to as "the plant of healing" and thought to keep evil spirits away. 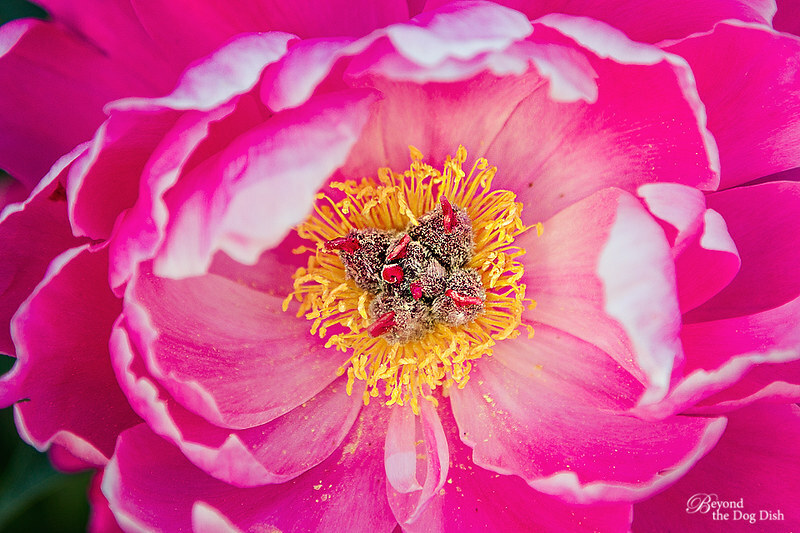 Greek mythology says the flower Peony is named after Paeon who was a mortal known as the physician to the Gods. Paeon was asked by Leto (the goddess of fertility and Apollo's Mother) to find a flower that would sooth pain for women in childbirth. Paeon's mentor Asclepius had such a jealous rage that Zeus thought it best to turn Paeon into a Peony to save his life. 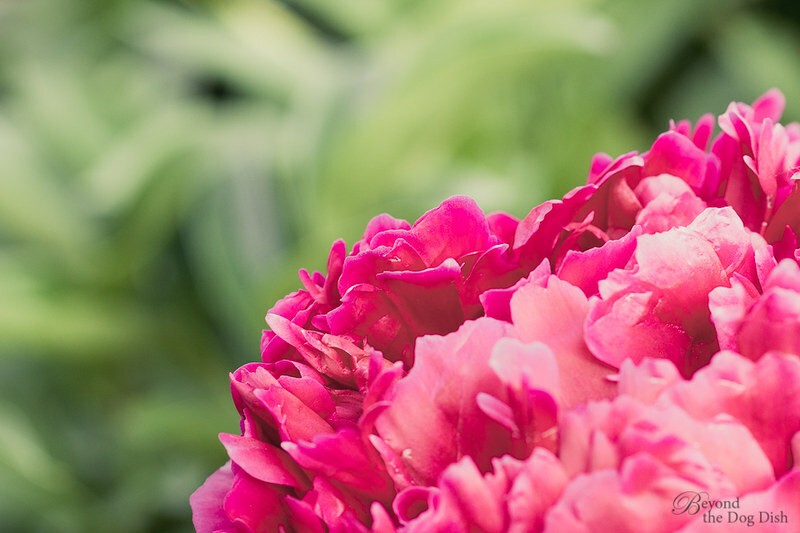 Peonies come can be red, pink, white, orange or yellow and the blooms can reach 8 inches in size. This was a dog friendly event so Kodee and Becky tagged along for the fun. Becky's goal for the day was to enthusiastically greet all who passed her. Kodee had a mission too - it was to attempt eating the flowers scattered on the ground. Not a good idea Kodee considering peonies are toxic to dogs! The peony gardens turned out to be an appropriate spot to photograph Kodee's for my "12 Months For Dogs" FlickR group project because June's theme was "Seasonal". 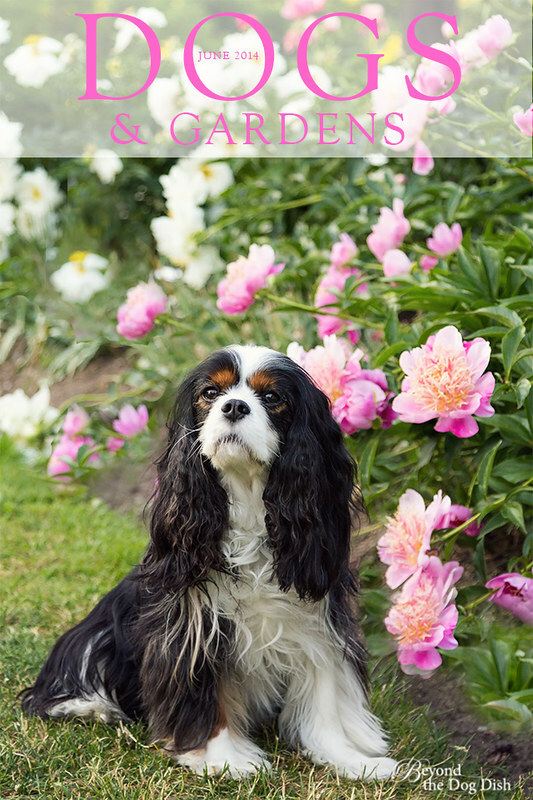 If a magazine ever existed called Dogs & Gardens I know I would be first in line to subscribe! Joining in the fun with "Today's Flowers"
The peony shots are gorgeous too ... what a wonderful mixture and the mythology behind it is so interesting ... thank you ! 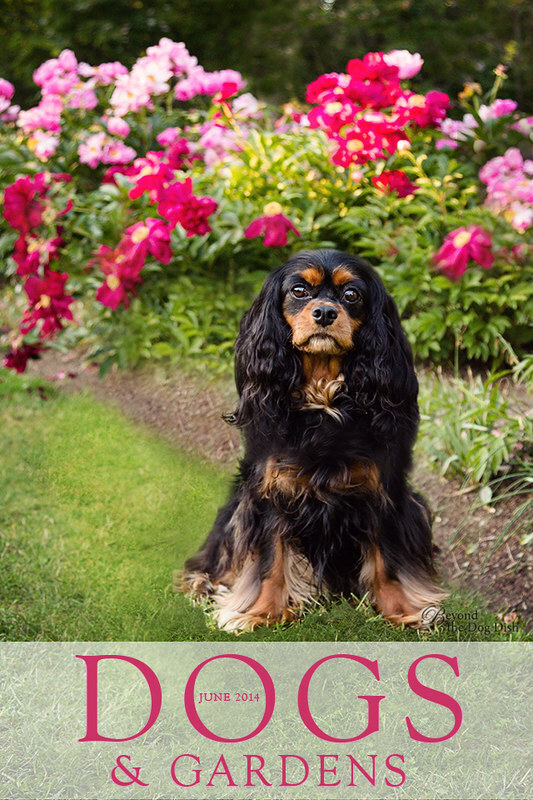 beautiful bloom images and your dogs are adorable. Gorgeous peonies, they're amazing flowers. Your dogs are adorable. 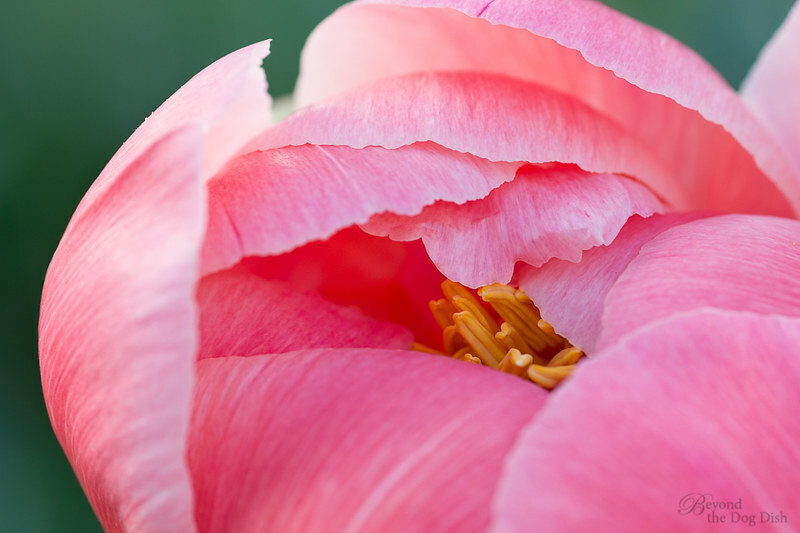 Wonderful flower macro shots and your dog is so cute. You guys are lookin' FABulous!! Oh, and those blooms are most beautiful too! That furst pic is just amazin'! The detail! Great. 'What's not to love' indeed! My absolute favourite. What a great bunch of photos. And those are adorable dogs. 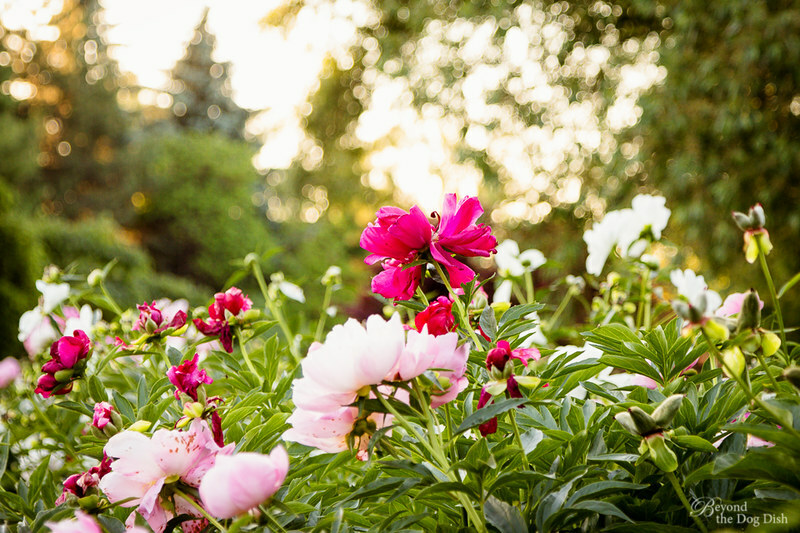 Your peonies are sooo beautiful! And Kodee is such a sweetheart! I guess I will have to do some cleaning! 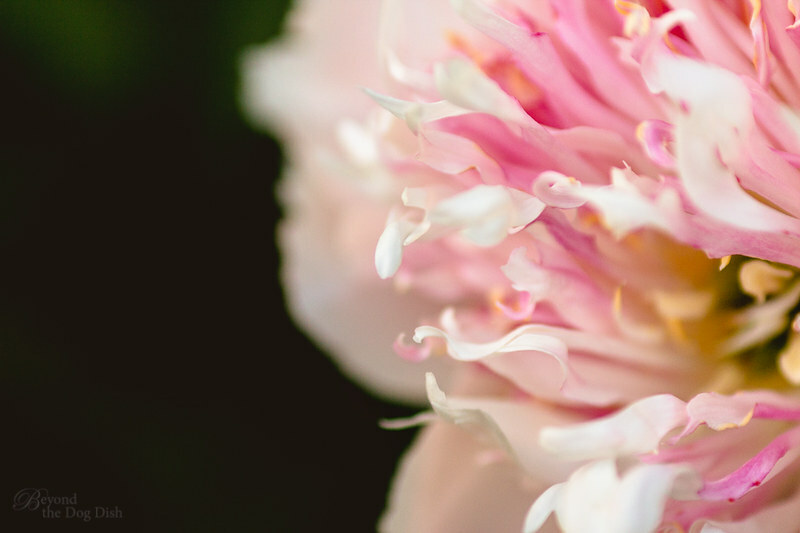 Your own new peony will come along. Mine have all taken a few years to get established. I have one I planted last year that had three small blooms this year. I'm surprized that you lost one - I thought they were pretty tough. But you had that awful ice storm. Maybe that had something to do with it? Wow! Your photos of these beauties are stunning. And I love your pups, such cute little ones. Thanks for sharing with Today's Flowers. Great post!